We have received more feedback from the people we helped in Kerala (via the Rotary Club of Katapady). Our Aquabox Family Filters have now reached an even wider group in the flood affected area of Kerala. Web hosting is kindly provided by SugarCube IT. If you need any help in completing your donation please do not hesitate to get in contact. 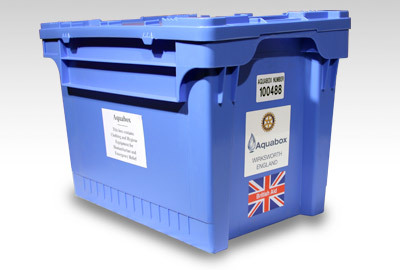 Did you know that whenever you buy anything online - from your weekly shop to your annual holiday - you could be collecting free donations for Aquabox? There are over 3,000 shops and sites on board ready to make a donation, including Amazon, Booking.com, trainline, John Lewis, M&S, Tesco and Sainsbury's – visit the easyfundraising website for a complete list of participating retailers. 1. Go to https://www.easyfundraising.org.uk/causes/aquabox/ and join for free. 3. After you’ve checked out, the retailer will make a donation to Aquabox at no extra cost to you whatsoever! There are no catches or hidden charges and Aquabox will be really grateful for your donations. We are very plaeased to report that the March Madness Barn Dance which was held at The Maltings in Wirksworth on Saturday 2nd March made over £800. The funds raised are to be split equally between Aquabox and St Mary's Church in Wirksworth. Ashbourne CAMRA event turns beer into water! Many of us will have heard of the miracle of turning water into wine at the Marriage at Cana, but at the recent Beer and Cider Festival organised by the Ashbourne Branch of the Campaign for Real Ale (CAMRA), visitors managed to achieve the opposite - well hypothetically speaking! No, not the one at the Royal Albert Hall! This is a charity concert in aid of Aquabox organised by the Rotary Clubs of Doncaster St. Leger and Mexborough at Doncaster Minster on Saturday 27th October starting at 7pm. Aquabox is delighted to announce the launch of its latest video. The charity has been working with Alicia Reade of the Doncaster Rotary Satellite Club on its production and we hope you can find the time to take a look at this very moving film. 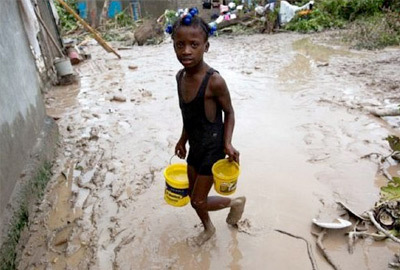 Since news of Cyclone Idai hit the headlines the Aquabox team has been working flat out to establish secure links with distribution agencies in Zimbabwe, Malawi and Mozambique. Following much hard work by our volunteer filter assembly teams and packers we have air-freighted (Wednesday 3rd April) the following aid consignments. These are scheduled to arrive at their destination by 8th/9th April. The Aquabox Trustees are very grateful for the knitted goods our hardworking supporters have kindly donated over the years. These woollies have been included as a part of our humanitarian aid packages that have been despatched to countries across the world in the aftermath of man-made and natural disasters. 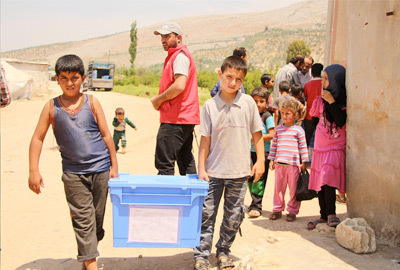 However, feedback from our partners and other organisations ‘on the ground’ indicates that we now need to re-consider what goes into our aid boxes.